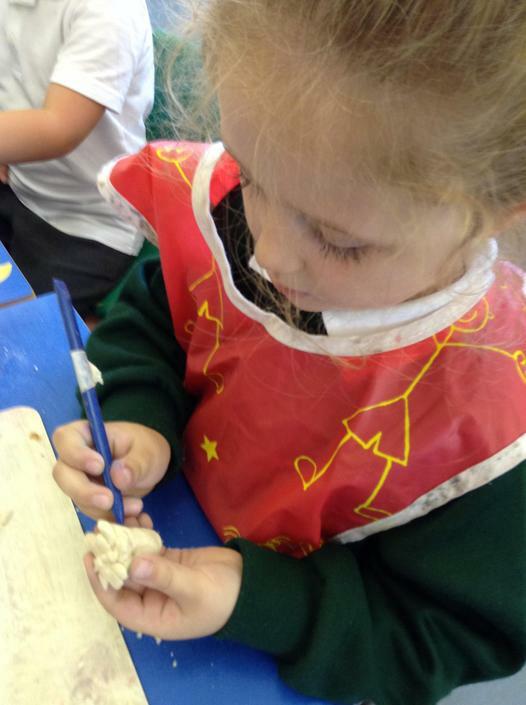 What shapes did we find on our walk? 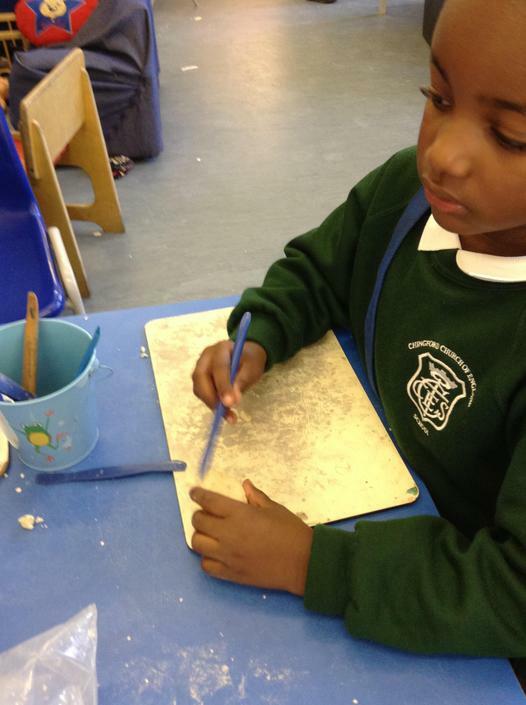 We have been learning how to use the interactive whiteboard. 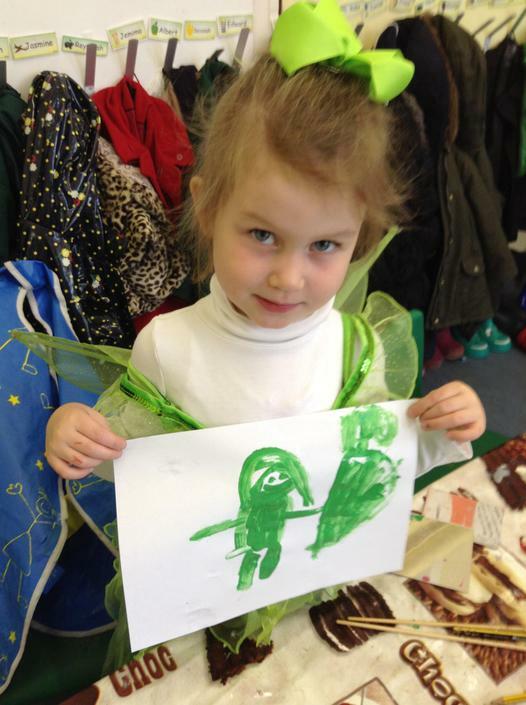 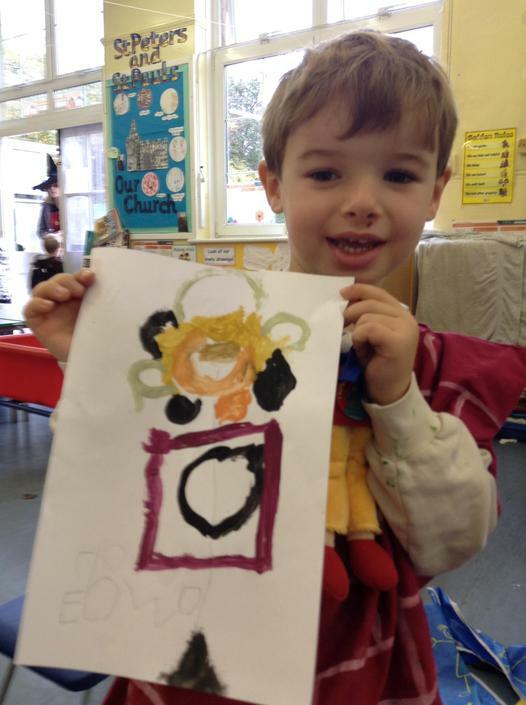 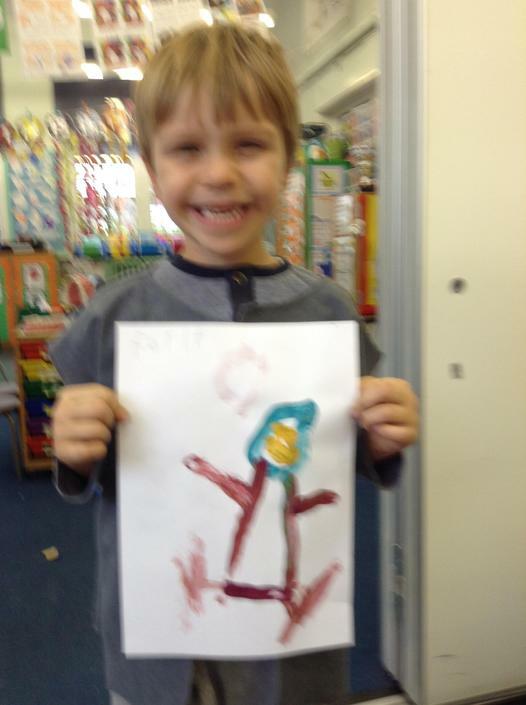 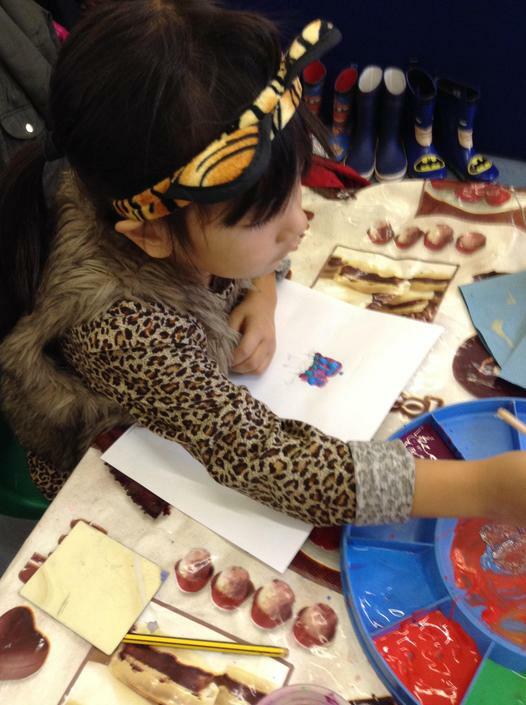 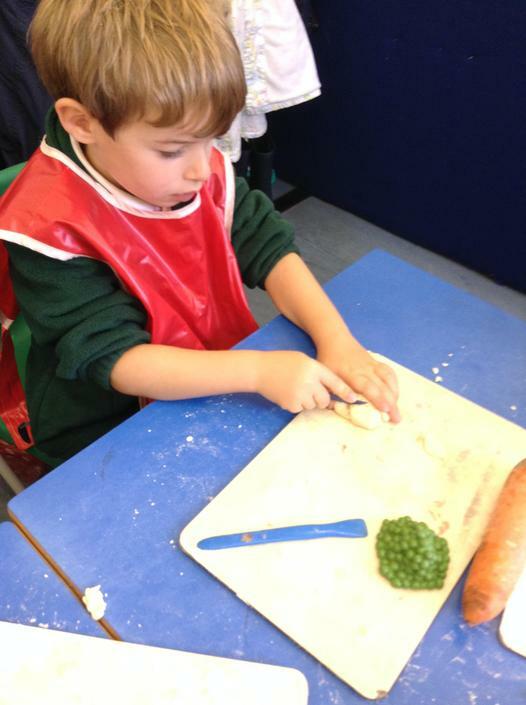 We printed with vegetables to create our very own 'Harvest Hats'! 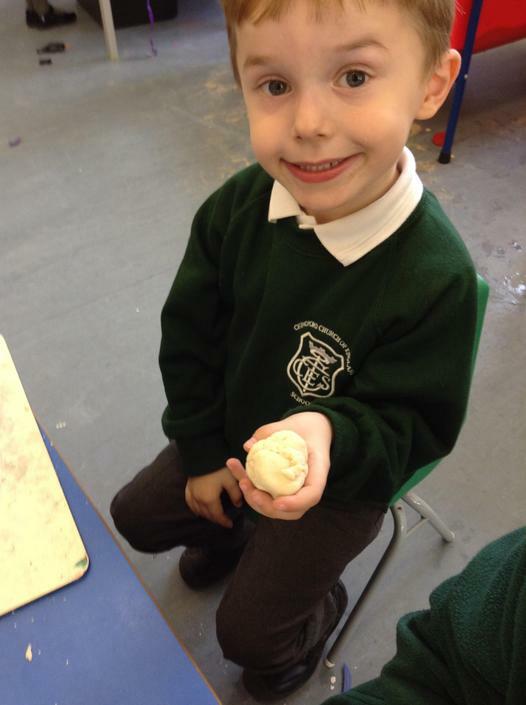 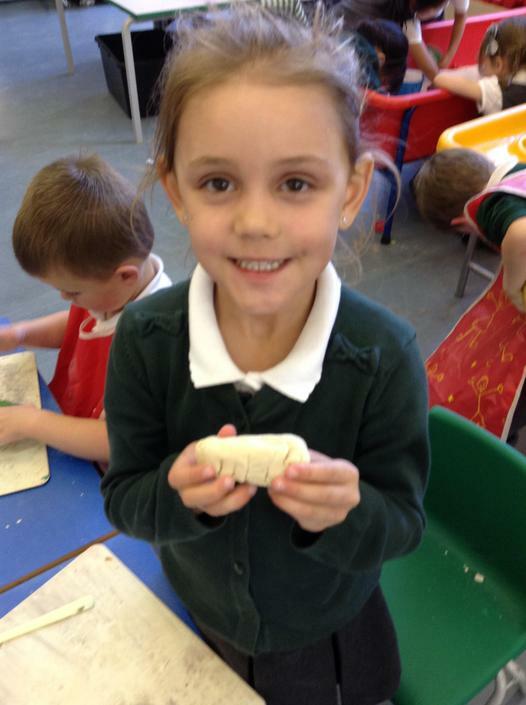 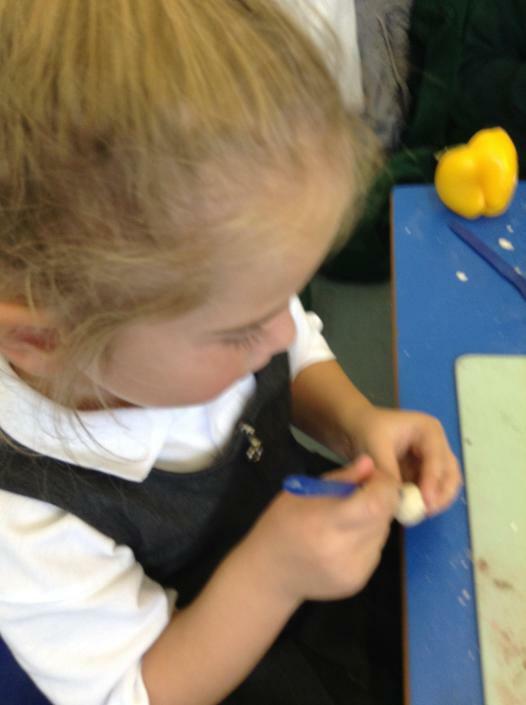 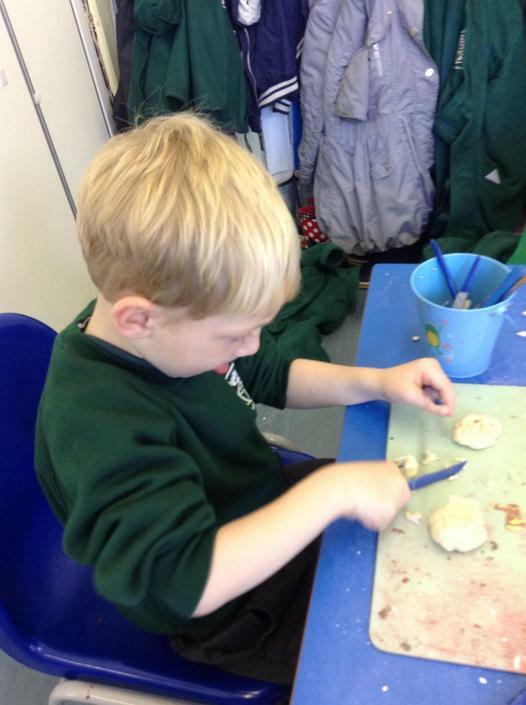 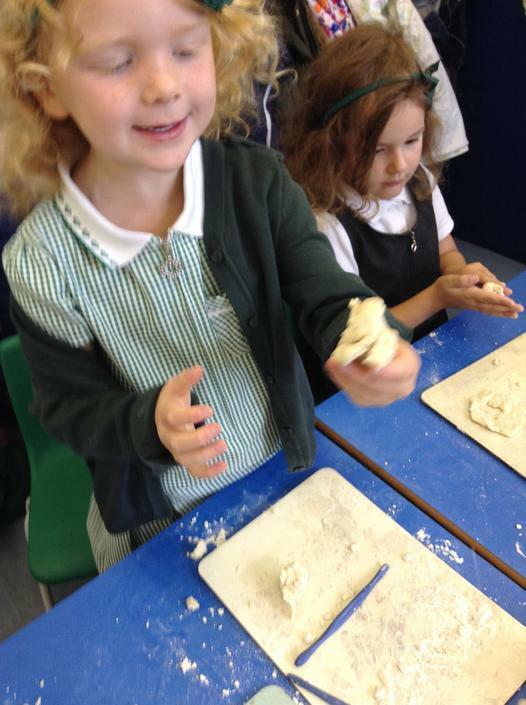 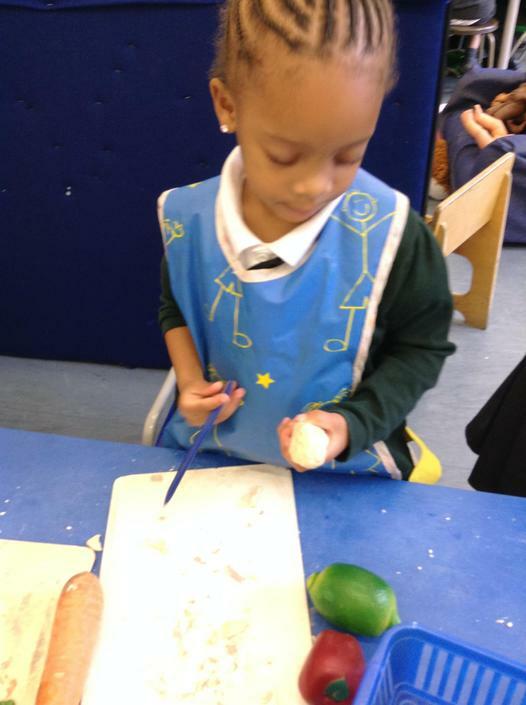 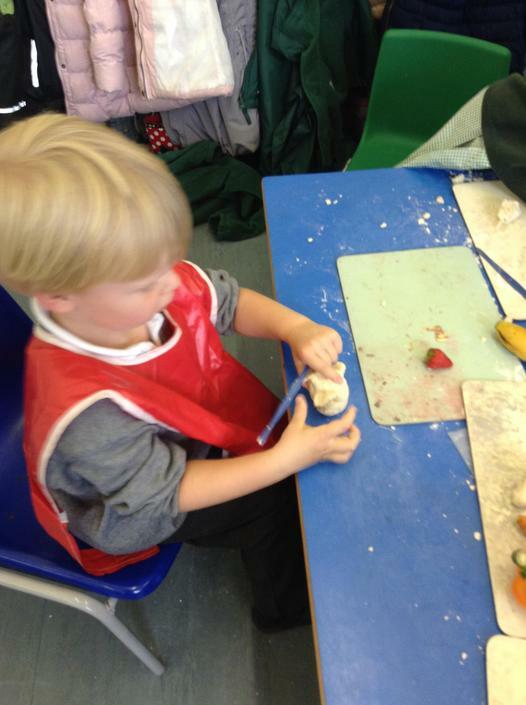 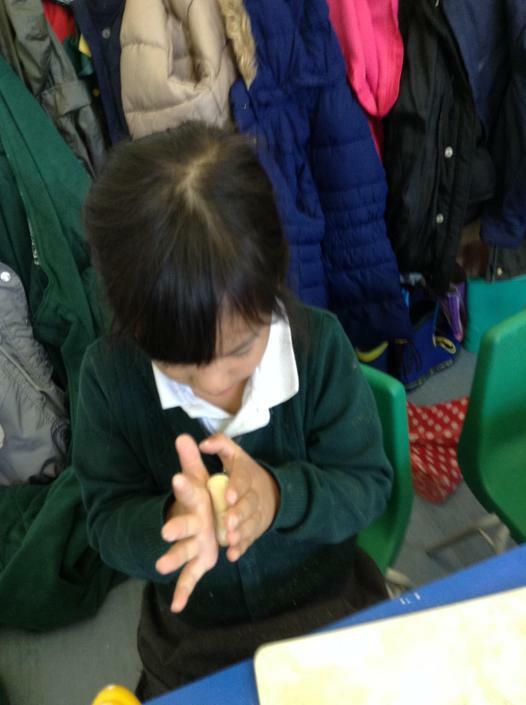 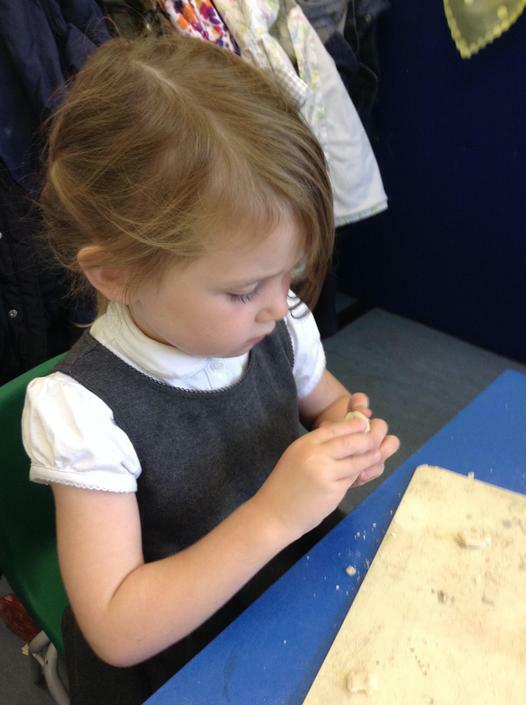 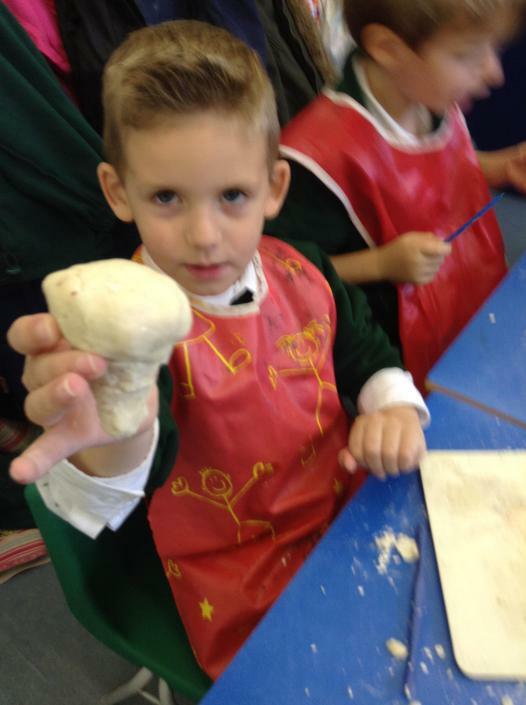 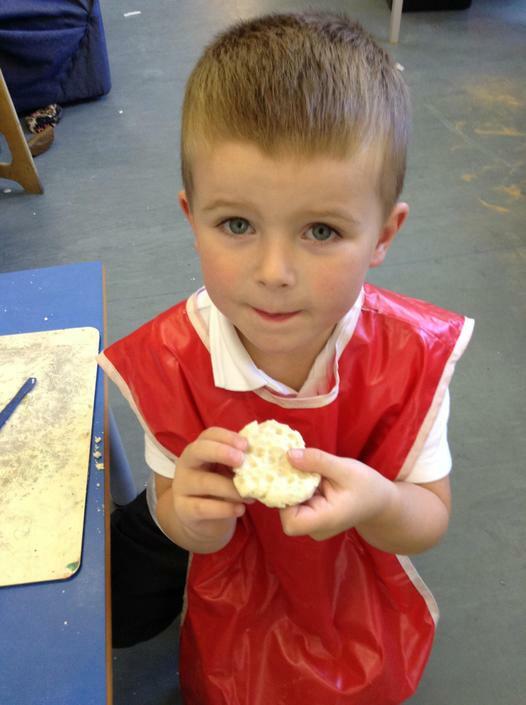 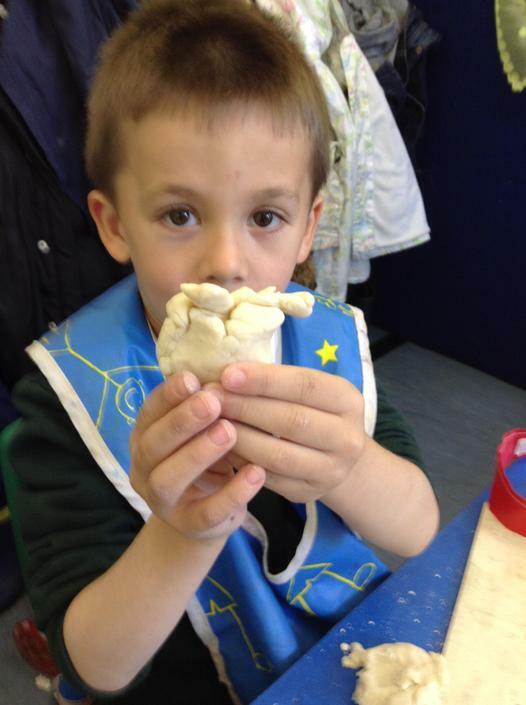 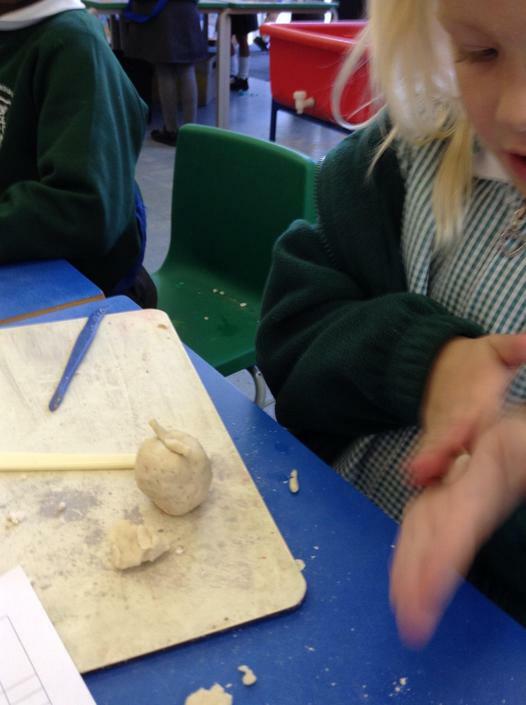 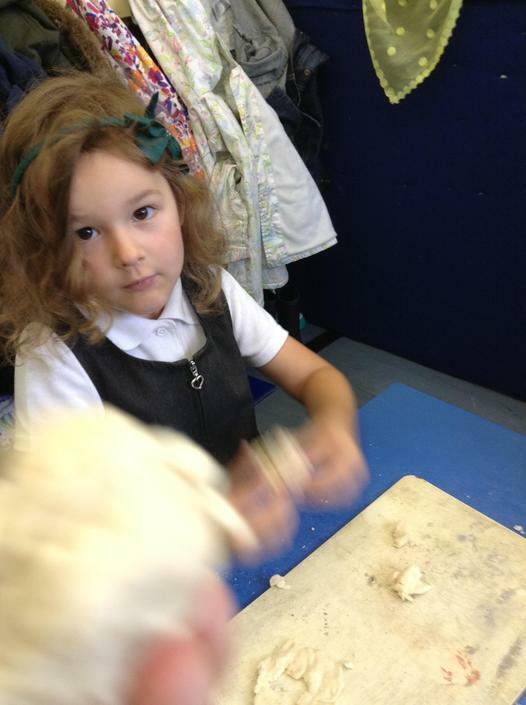 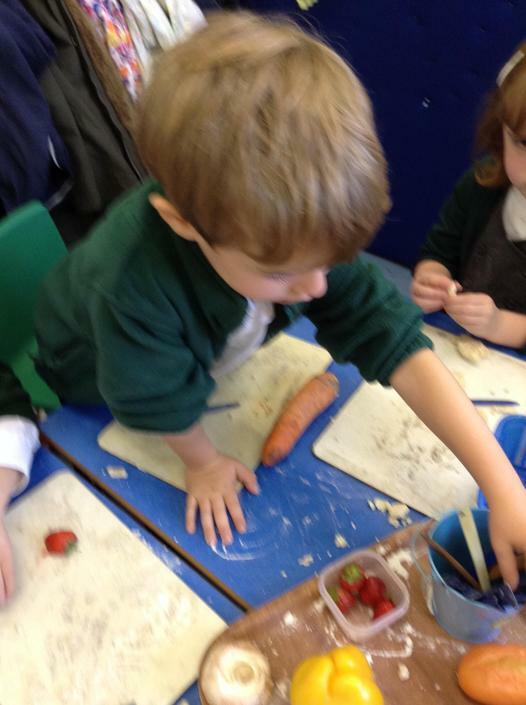 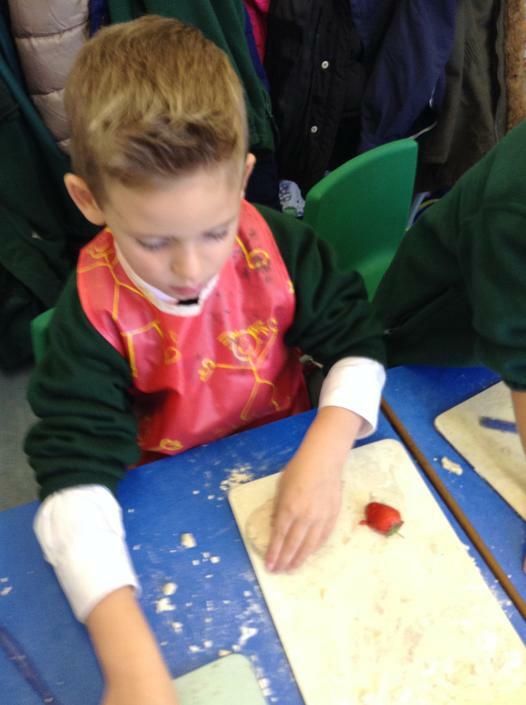 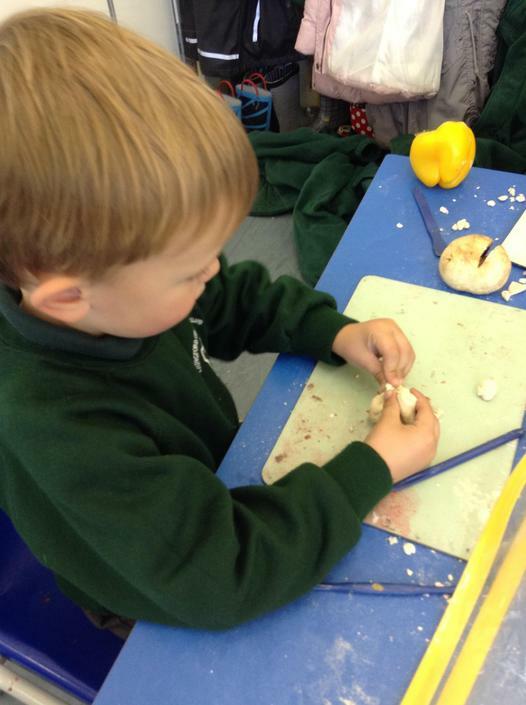 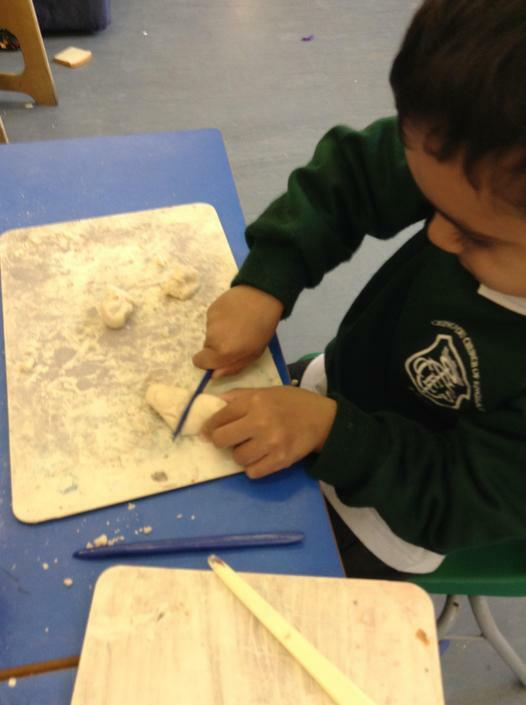 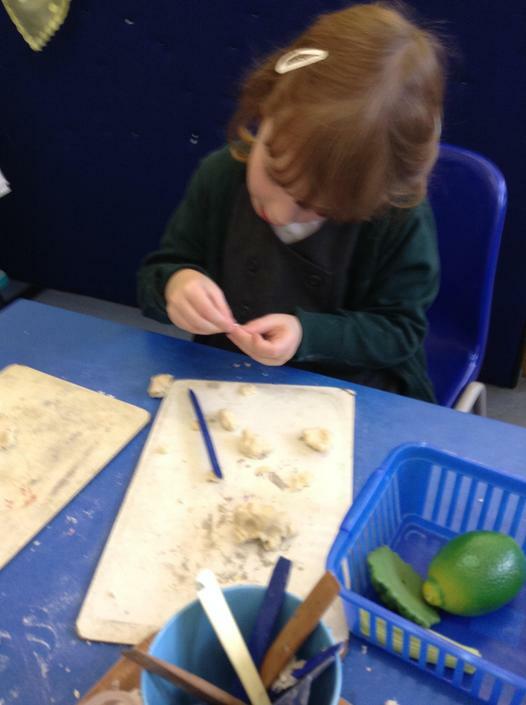 We modelled salt dough into fruit and vegetables. 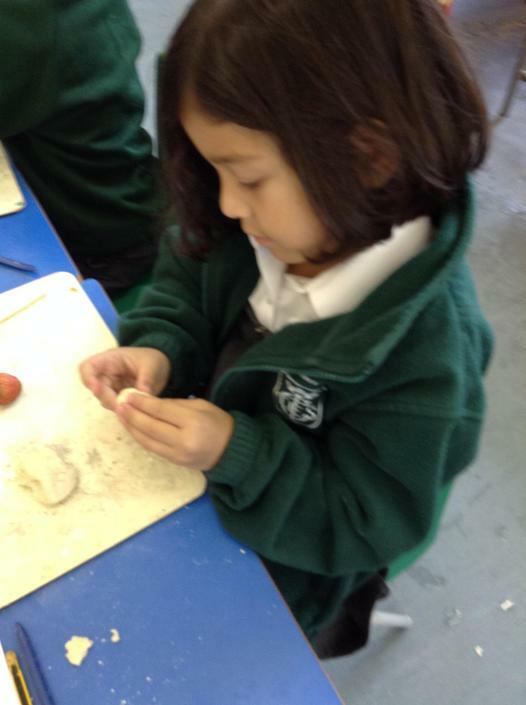 Ask your child which fruit or vegetable they made! 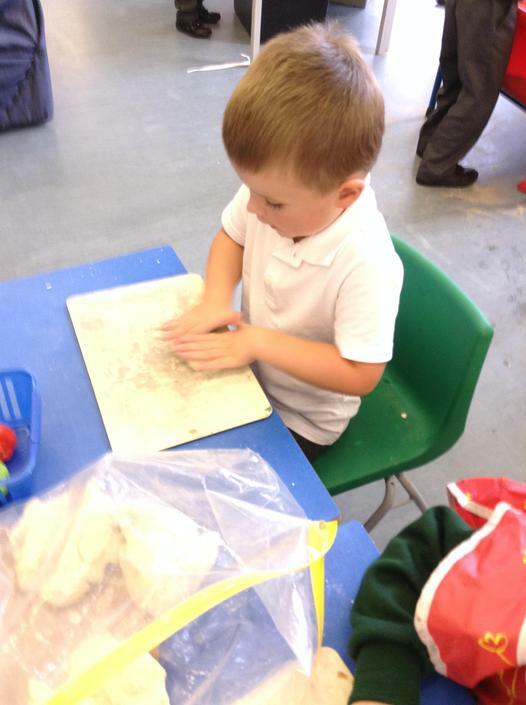 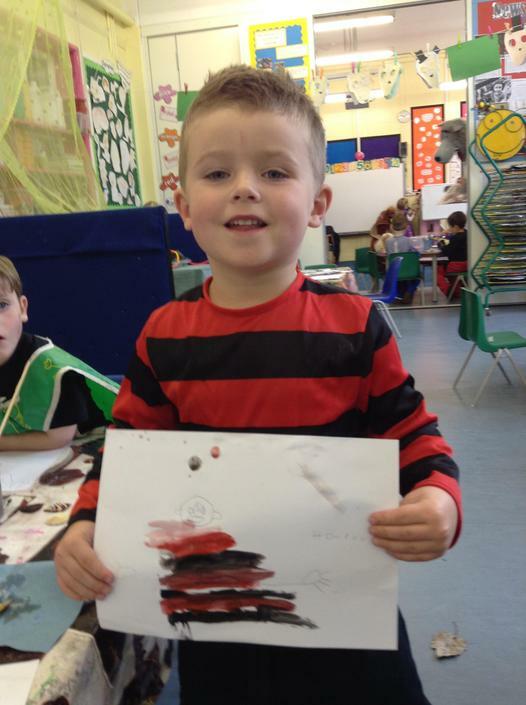 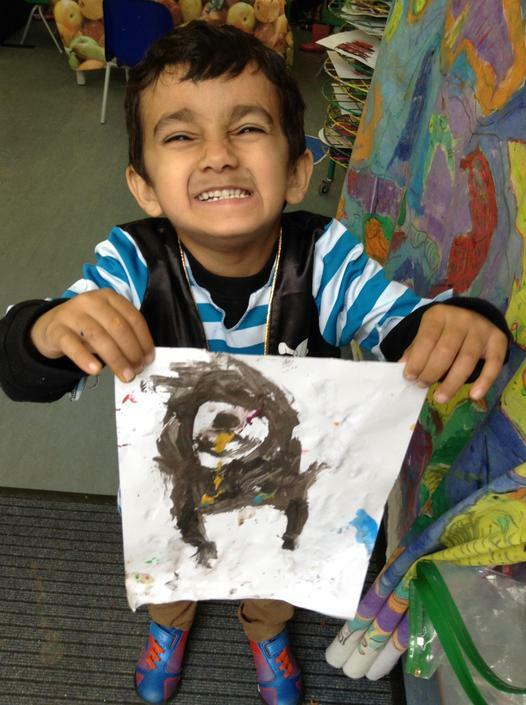 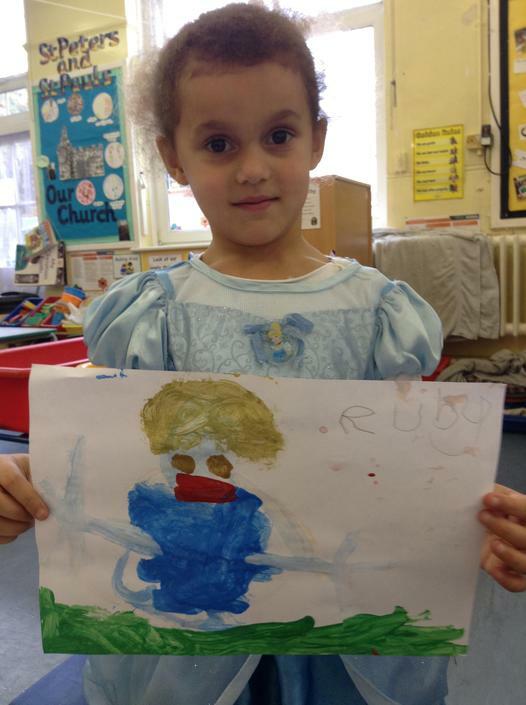 We printed lots of handprints. 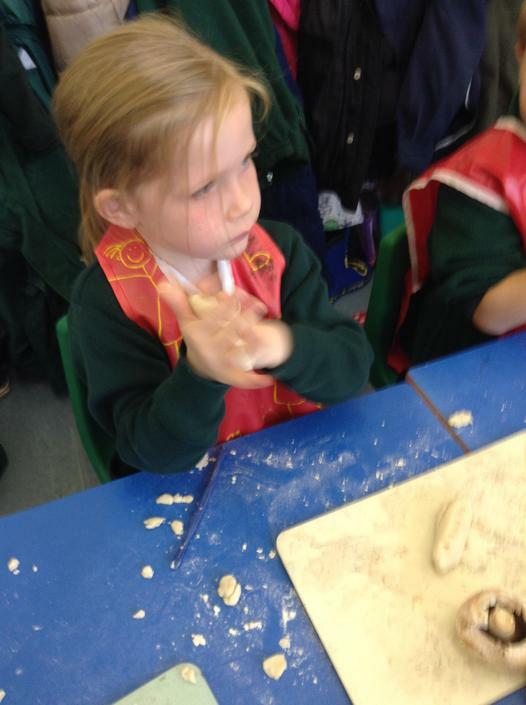 Ask your child why we did so many handprints! 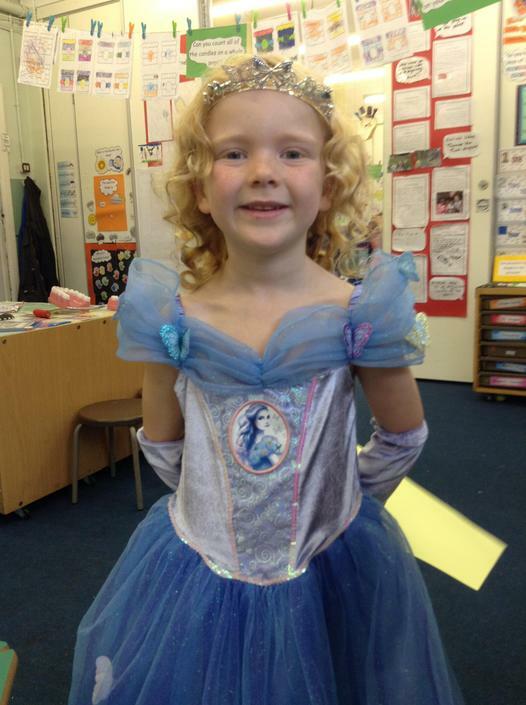 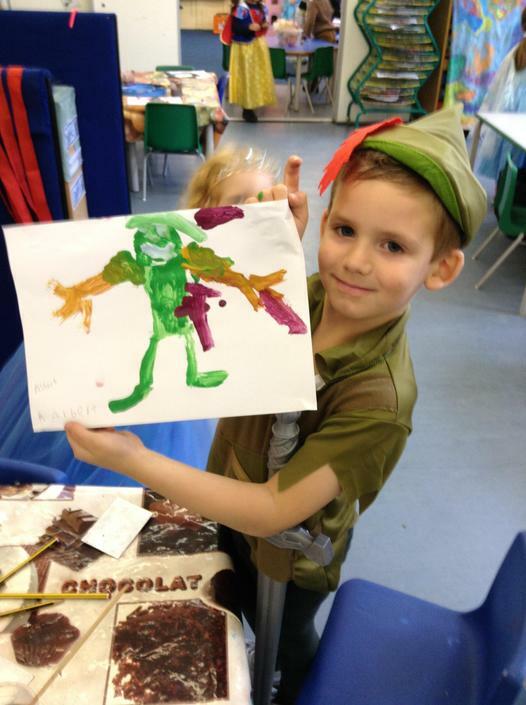 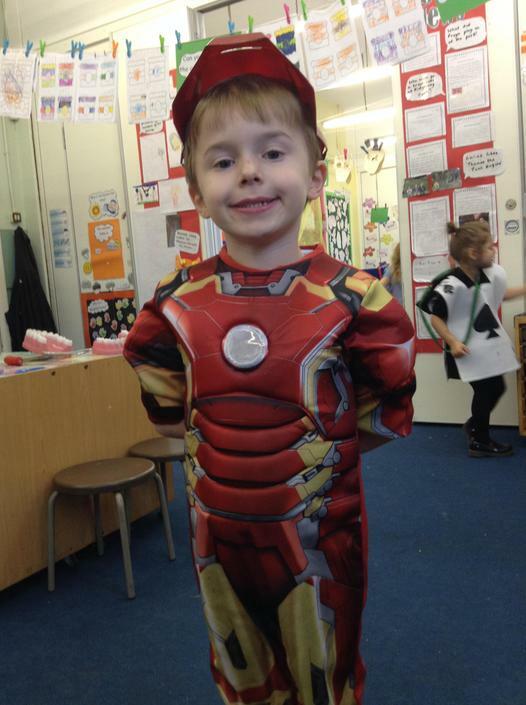 Friday 23rd October was Book Day! 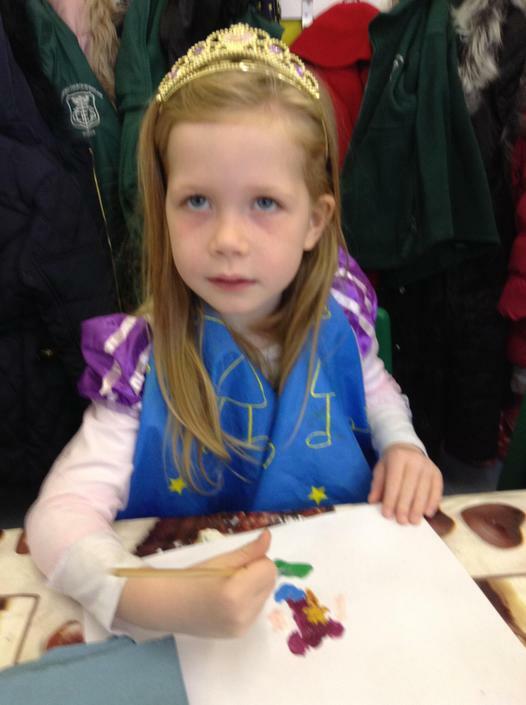 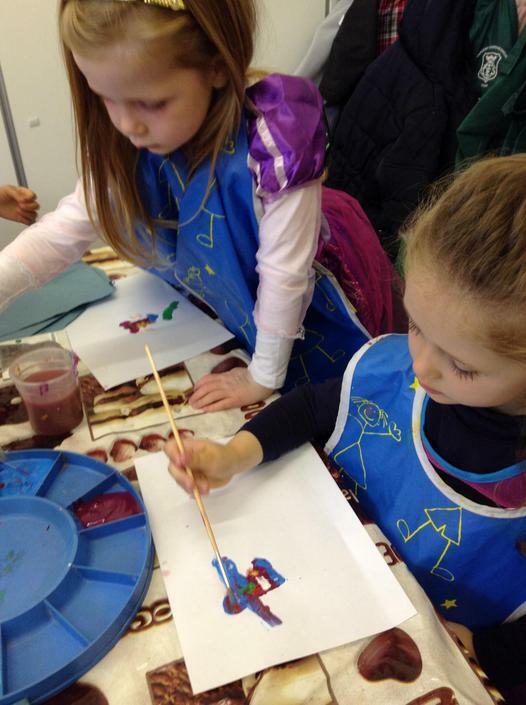 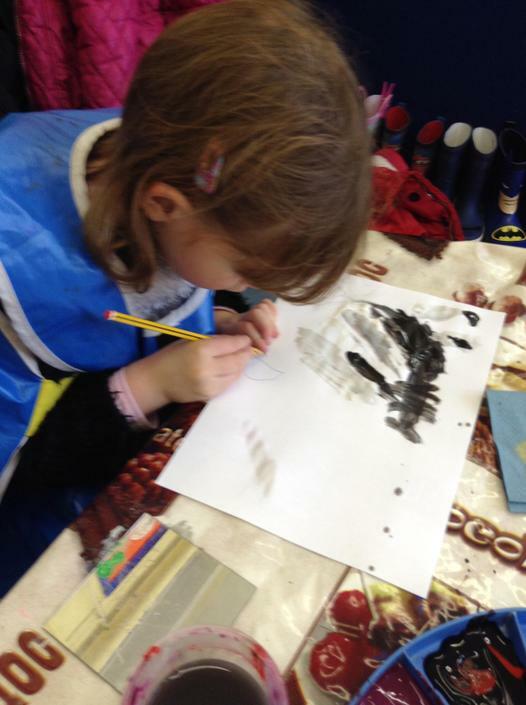 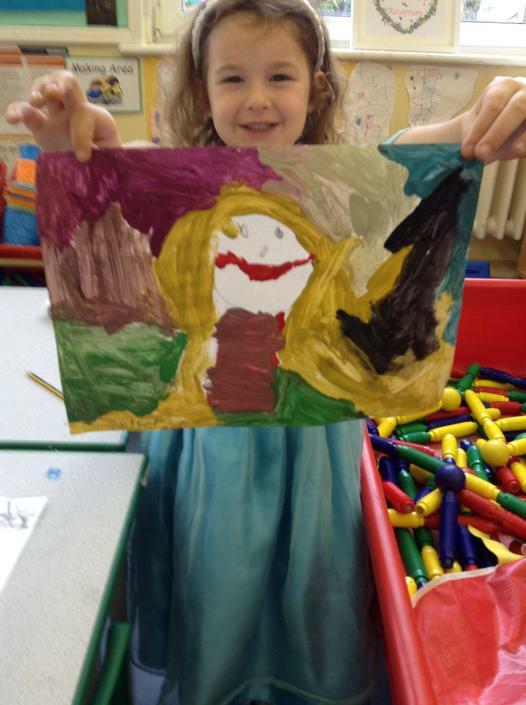 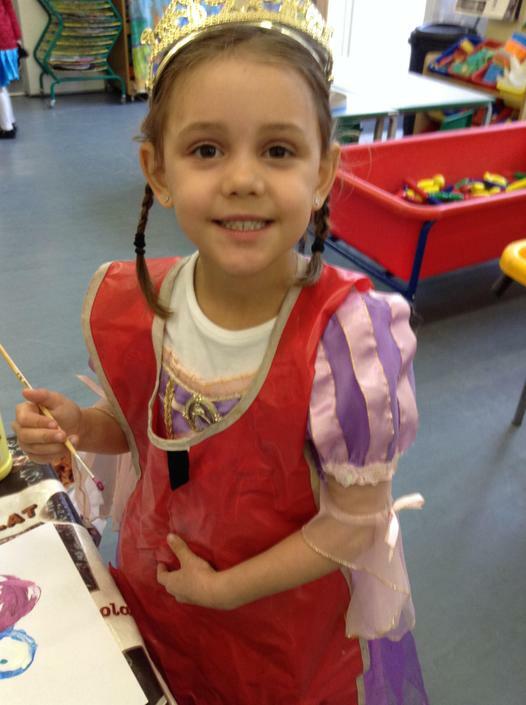 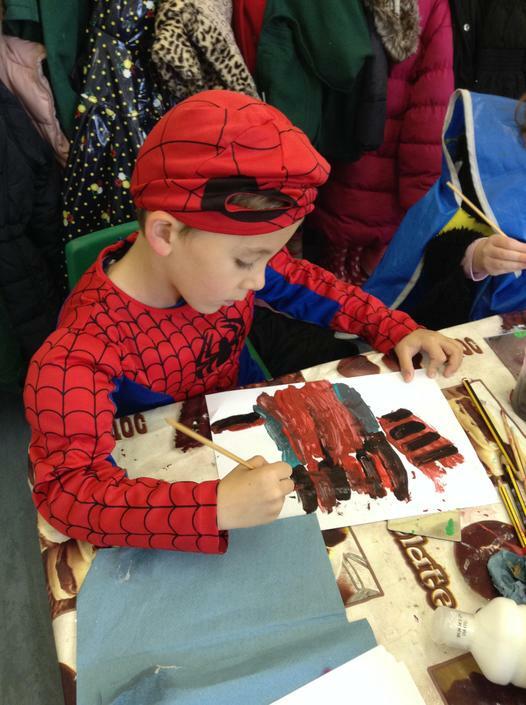 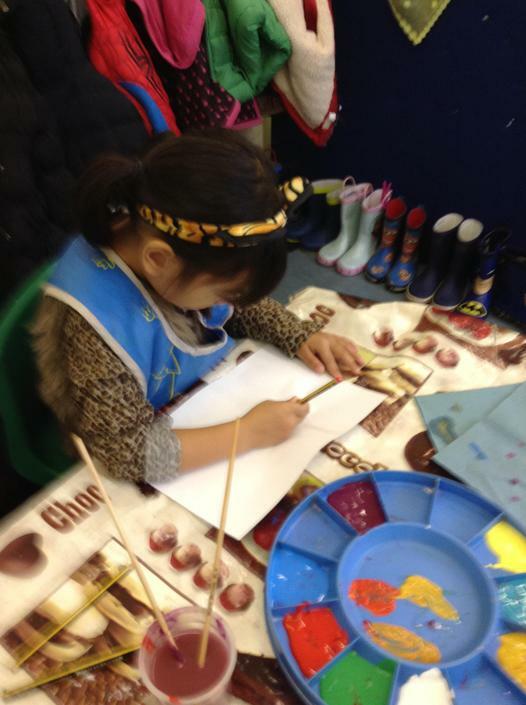 We painted the costumes that we wore with the aid of mirrors and fine paintbrushes.